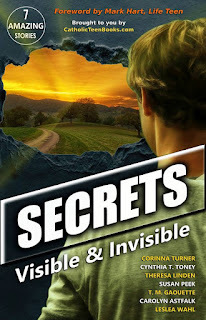 Today I am excited to be part of the blog tour for Secrets: Visible and Invisible, the new anthology by seven CatholicTeenBooks.com writers. As described by Mark Hart of Life Teen International, who provides the foreword, "Each story reveals something different about the human heart and our constant (though, often veiled) desire for truth and virtue." Secret (n.) - something kept hidden from knowledge or view; a mystery. 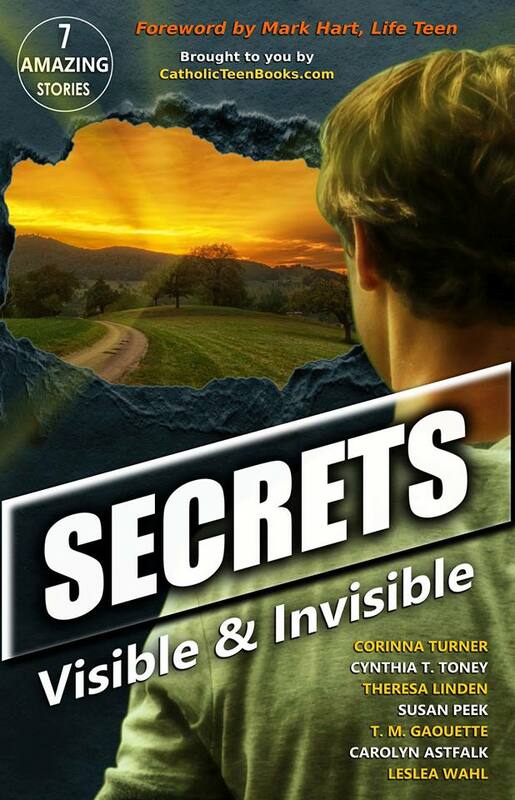 Elijah knows nothing of the elderly stranger's secret past--until her disappearance changes everything. The cannonball took Dario's legs . . . Will he lose his soul too? The arrival of a mysterious girl challenges everything about Jason's life. An unlicensed driver. His dad's truck. What could possibly go wrong? An old tale of murder and forbidden love leads to a modern day treasure hunt. "This anthology of Catholic fiction for teens will introduce readers to seven diverse authors. Many of these stories, in a variety of genres but linked by a common theme, offer a peek at characters from full-length novels. Readers already acquainted with these authors will enjoy new perspectives on favorite characters. Kudos to CatholicTeenBooks.com and these seven authors for dreaming up this excellent collection." How to Make Your Life "A Beautiful Dream"